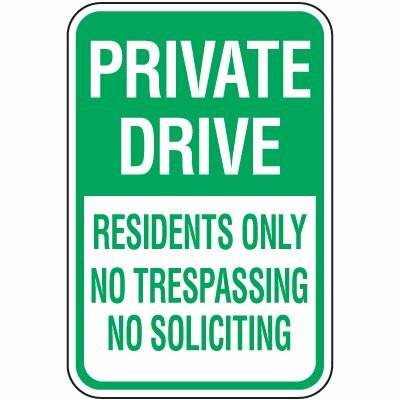 Private Parking signs ensure that parking spaces are reserved specifically for people authorized to use these. Ensure there are enough parking spaces for those who need them in your parking area with Seton’s Private Parking Signs. Discourage unauthorized use of parking spaces meant for employees and disabled individuals, as well as help reduce the stress of finding good parking areas with the help of these signs. Choose from among Seton’s line of Parking signs to find what best suit your needs. We have signs that come in various shapes, sizes and styles that meet a variety of purposes, like our Visitors Only Parking signs that inform visitors where they can park their vehicles while making them feel welcome in the process. Private Parking signs also provide you with an efficient means of separating different types of vehicles in your parking lot. Install these signs and designate the specific areas where people can park in your parking lot. Inform people which areas are not open for public parking. When it comes to restricting parking, public and private property alike should make use of Private Parking Signs. Since municipalities regulate the general flow of traffic in their locations, the flow of parking traffic comes under their purview as well. In most municipalities, for instance, it is illegal to stop, park, or leave unauthorized vehicles in front of driveways. As a result, posting the proper parking signs would warn against illegal parking even in areas that are accessible to the wider public. Owners of private property can implement their own parking restrictions on certain areas of their private property as well. As such, they can post signs reminding motorists not to park vehicles in areas that are considered part of their property and can be considered trespassing. Prevent unauthorized parking with the proper parking signs. 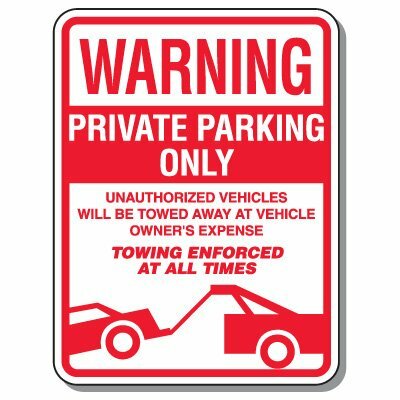 In most municipalities, private property owners are permitted to set their own private tow-away zones on their property. As long as the requirements for this regulation are met, the property owner may contact a towing company when they find unauthorized vehicles that are in their tow-away zones. In some locations, law enforcement may cite vehicles in violation of these provisions. Ensure that the possibility of illegal parking is reduced on your property. Make unauthorized parking unlawful and an inviolable rule with Private Parking Signs. Make your selection from Seton’s line of signage options.